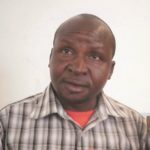 For the last three years, EIUK has received funding from the Department for International Development (DfID) to run a fuel efficient stoves project in partnership with the Anglican Diocese of Ruaha in Tanzania. 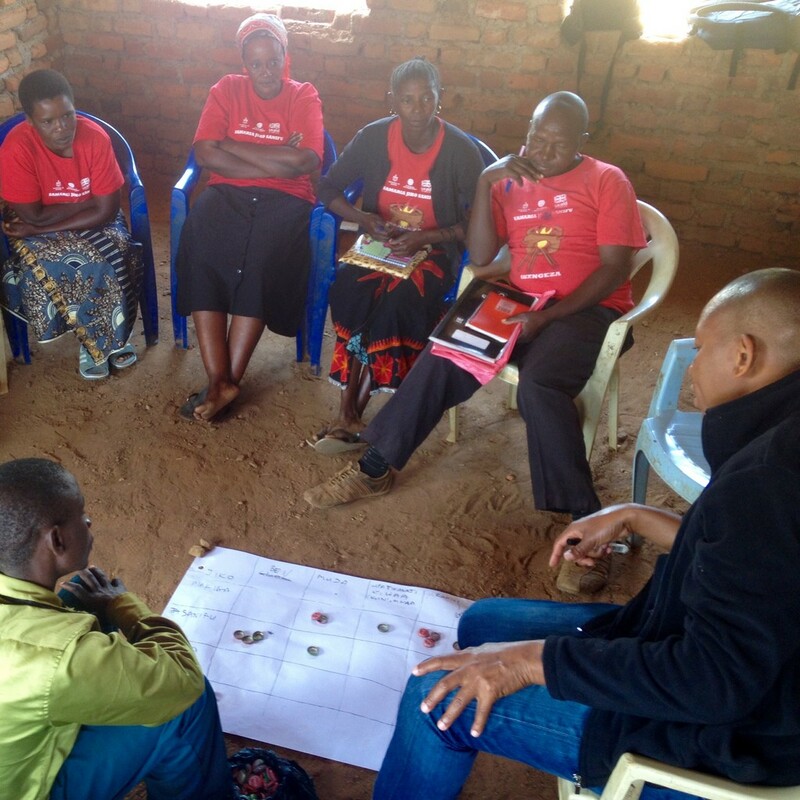 Following a pilot in Magozi village, we set out to scale up the project and establish six stove making groups in six villages. 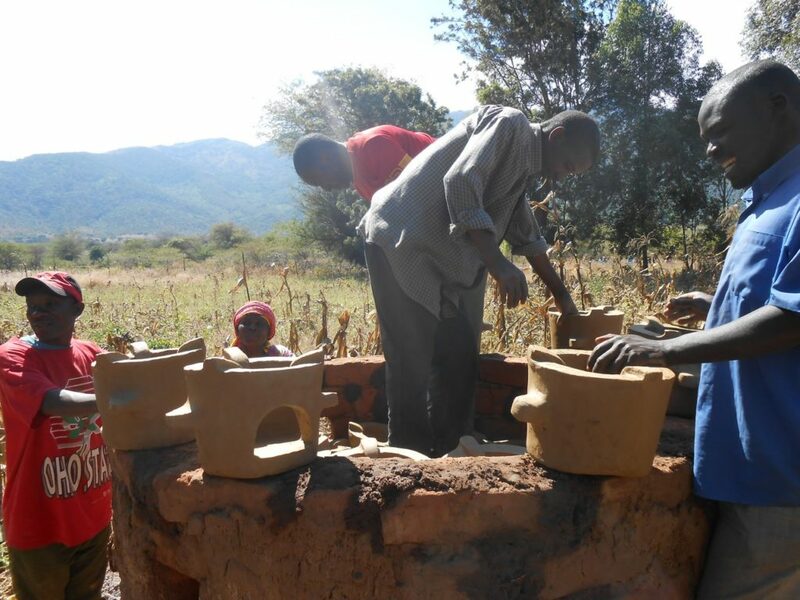 Three years on, we have set up seven new groups in seven villages, registered them all as CBOs (community based organizations) and trained a total of 275 people how to make portable clay fuel efficient stoves. 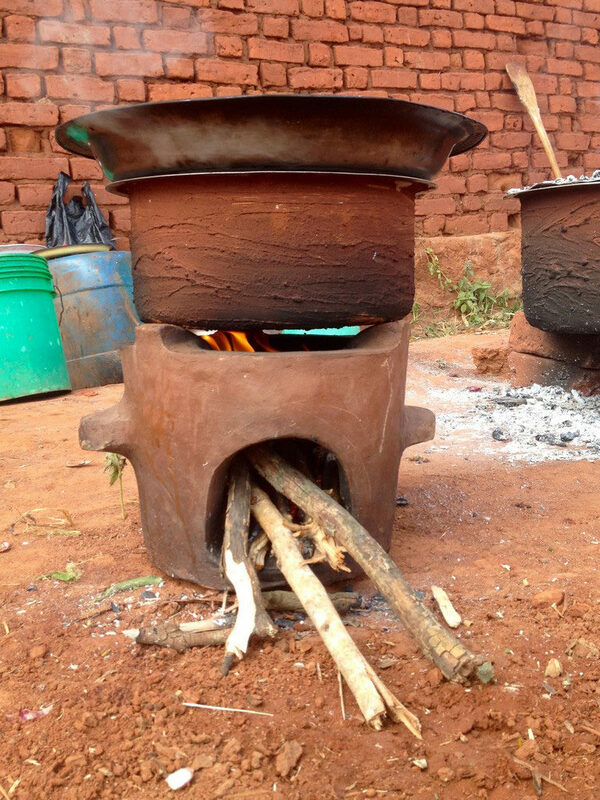 Now the improved stoves are in use in over 900 households, and on average, stove users have reduced their consumption of firewood by 19kg per week. Over the whole project area this amounts to a total saving of over 900 tons of firewood per year! This also relates to a time saving for women and girls who collect firewood. On average the time collecting firewood has reduced by 4.4 hours per week for households using the improved stove and 95% of women using the stove said that their household income had increased as a result of the time saved. 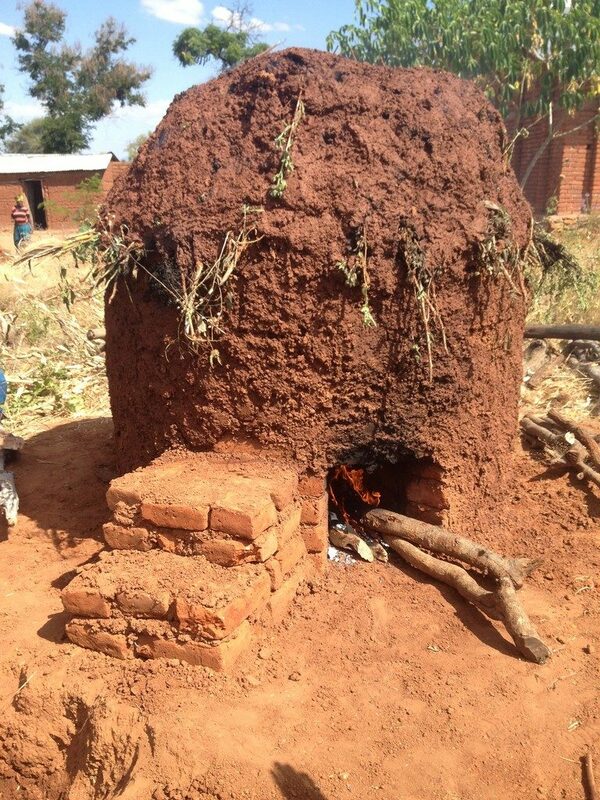 The stoves have health benefits too; female users of the stoves have reported a 23% reduction in incidences of respiratory disease compared to when they used a traditional three-stone-fire. The project has worked through stove making groups which bring together all types of people from inside and outside of the local church, young and old; educated and uneducated, men and women. 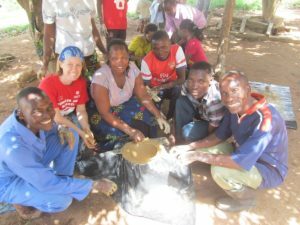 The groups learn, manufacture and sell stoves together. The groups have not been without their challenges however. Some of the groups experienced technical challenges with stoves cracking. Other groups experienced internal conflict. Through all the challenges we have encouraged the groups to work together to face the challenges and not give up. They have learned through their challenges and so have we. Realizing the importance of strong leadership for these groups, we organised a seminar on leadership for the leaders for all the groups. 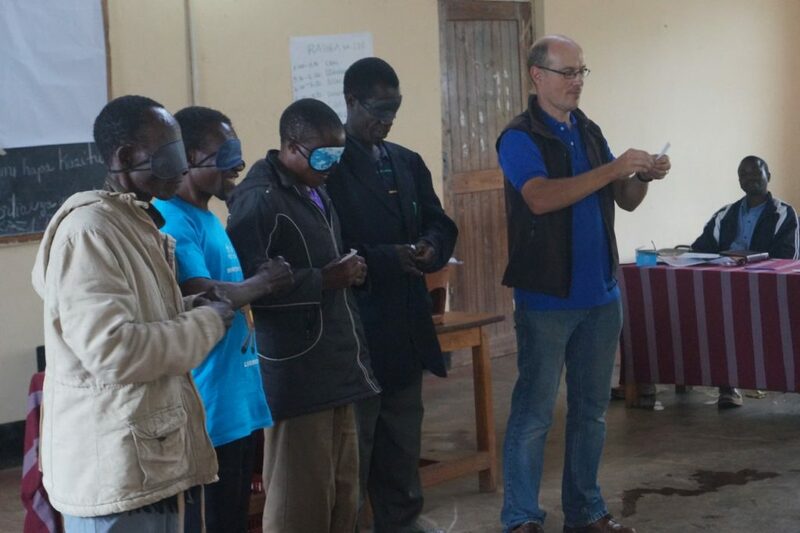 As well as appreciating the training on leadership, conflict resolution and financial management, the delegates were really encouraged by meeting each other for the first time and sharing experiences. 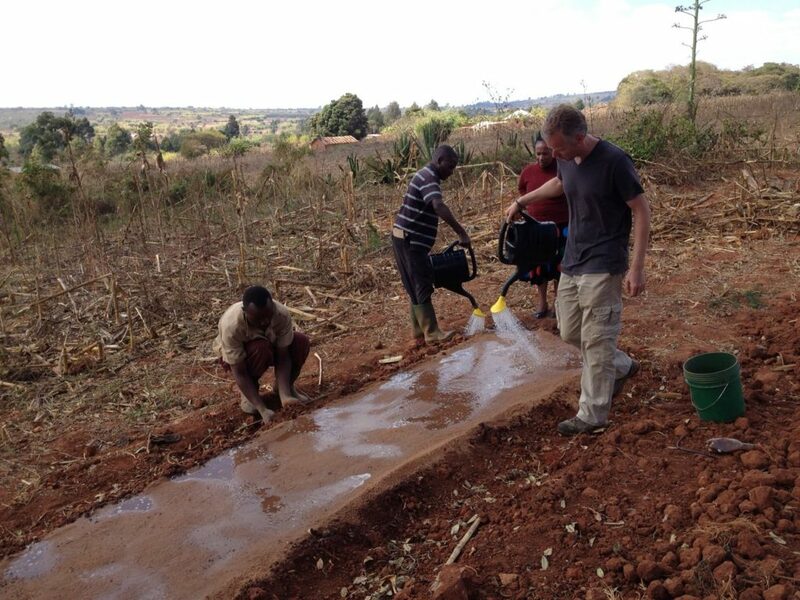 Although there were unexpected challenges there have been also been unexpected positive outcomes of the project. 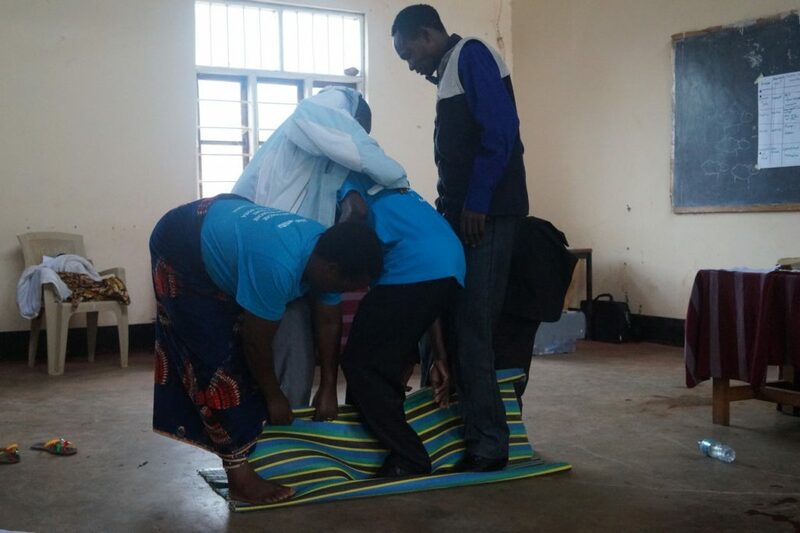 At the leadership seminar, the group leaders took the initiative to form a fuel efficient stoves ‘network’ so that the groups can support and encourage one another into the future, even without support from EI. Also, one of the groups whose sales were lower than expected decided to do something to improve the economic benefits for its members. They took the initiative to set up a savings and loans scheme for group members. Now the members can take a loan from the group capital to help them with their own entrepreneurial activities. At the end of this phase of the project, our team has been going through an evaluation process to identify strengths, weaknesses and lessons learned from the project. This process has been aided by a visit from consultants from Coffey International Development tasked with assessing the sustainability of DfID’s UK Aid Direct funding mechanism, and Michael Onesimo, a Tanzanian expert on fuel efficient stoves who led us through another week-long evaluation exercise. 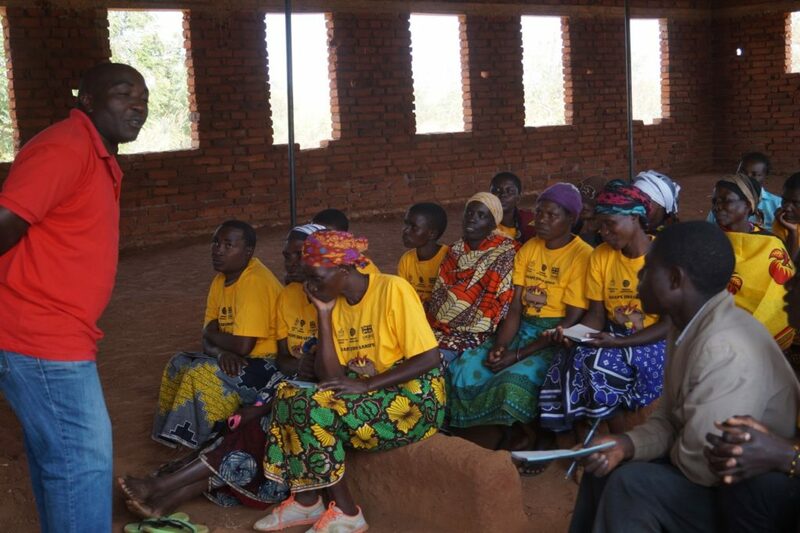 The evaluators identified strengths of the project, especially that the project was able to reach marginalized members of the community who had been excluded from interventions from other organisations and that the project promoted the value of self-reliance, rather than the culture of dependency and expectation for hand outs, which prevails in many rural communities. We have learned that while the stoves help to reduce deforestation, more emphasis is needed on tree planting in order to actually reverse deforestation. Also it is helpful for the stove groups to have a range of activities in addition to stove making which not only help the environment but can also provide investment or income generation to enhance the economic benefits for group members. Building on this learning, we’re now planning for our new project named ‘Imarika’ which will build on the impacts of this project and apply what we’ve learned so far. 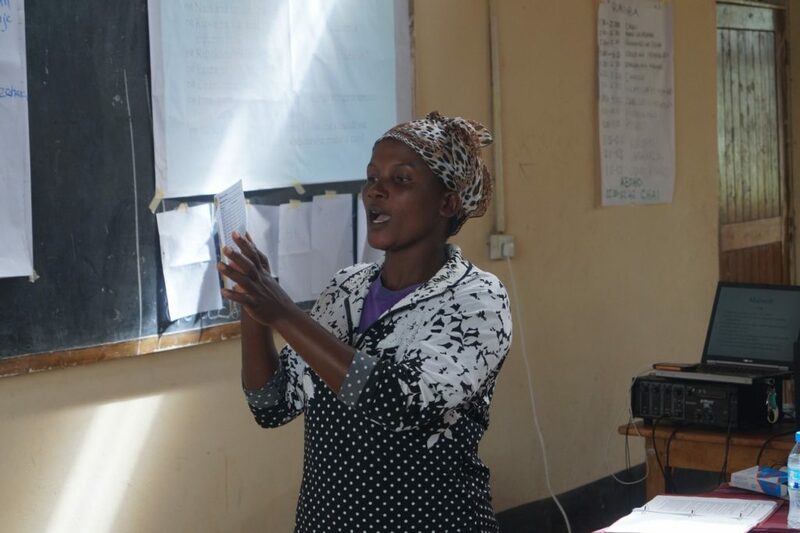 Training on Village Savings and Loans (VSL), tree nurseries, conservation agriculture and small livestock keeping will complement the training on fuel efficient stoves, to bring environmental as well as economic benefits to rural communities. 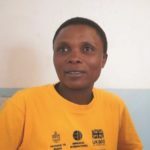 Felista Madembwe is secretary of the stoves making group in Lyamgungwe, she is also secretary for the fuel efficient stoves network. I have learned many things through the project in making stoves especially the way they save women from respiratory diseases. Through the project I am now saving my time, for example I have reduced trips to collect fire woods because fuel efficient stove demands just little amount of fire woods. In addition fuel efficient stoves are cooking fast thus saving time. Initially when we started making stoves many people laughed us as because we were working with clay which is looked down upon. In facing this challenge we had to educate people that this is something useful for the community though they see it as works of low status. Now, as time goes on people have learned a lot and even some of them are apologizing for what they said and some are proceeding to join the group. Now we have planted tree seeds in a nursery and we expect they will germinate soon and we are filling soil in planting tubes. Up to this point we have 10,000 planting tubes filled with soil. We are planning to prepare 20,000 planting tubes for the trees planted in the nursery. Group members individually will plant trees in their farms, each group member will have 500 trees but apart from that the village government has decided to offer a farm of almost 10 hectares to the group where we will also plant trees as a group. Two years ago our Pastor informed us that there was a project to be initiated and then later he invited EI to visit us in our village, they visited the church and then they visited the village government and introduced the project. Then we started the task of collecting clay and making stoves. I have learned various things in the project, these includes making stoves, entrepreneurship and working with different types of people in the group. Having different types of people helped me to exchanging ideas and experiences from other people. Although we have had challenges as a group as well. Some of the group members were discouraged to continue with our project activities, to solve this problem we visited and encouraged them that we have to continue working together because we ourselves are the beneficiaries of the project. Now we have started doing a tree nursery. First we got a seminar from Andre and Jesca then we prepared and fenced a place for planting tree seeds. Up to this point we have a task of filling soil into tree tubes. Our aim is that each group member will be provided trees individually and they will plant in their farms. Through planting trees our environment will improved, it will be easy for us to get firewood, and to produce timbers for construction. 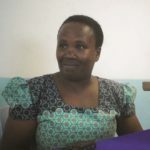 Neema Nzengele is secretary for the ‘Agape’ group in Mangawe village. When the project started I decided to join the group as I was attracted after seeing what the registered group members were doing. But we had problems early on. The first time when we started making stoves most of stoves cracked. There was also drop out of some group members as they were disappointed by cracking of stoves. In addition people outside the groups spoke down to us that what we were doing was pointless, we were wasting our time and some even said that it was a childish task. I am now happy because even one of the people who spoke like that at the beginning has since joined the group. Now the response of the community is good compared to before because after observing the success, lots of people are inspired to join. The village government is motivating us a lot, for example inviting us to different seminars. Not only that but also the Village Executive Officer has asked us to provide support in government activities such as environmental conservation. 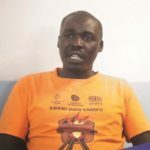 Noah Mgwabu, is the chairperson of the ‘Samaria’ stoves group in Ikengeza and a founder member of the fuel efficient stoves network. Through the fuel fuel efficient project we have been growing day to day. It is now three years since the project was initiated. We reached the point of forming a network of communication because our groups are based in different locations. Some of the fuel efficient stove groups are found in Kilolo District while others are found in Iringa Rural District. Therefore we decided to form a network which will be connecting us after meeting with group leaders from all the groups. The aim of forming this network was so to identify markets, demands and to help spread the message about fuel efficient stoves. Therefore through this network there is communication flowing through groups within in these two districts but what is connecting us all is the project. It has been helpful to get to know each other, to exchange experiences, understanding where there are markets for stoves and where there is less of a market what should we do. Therefore I have understood that the network is very useful for us because for example if we have raw materials in a certain location and other locations don’t have, we are ready to transport them from the location where they are available and use where they lack raw materials. Therefore we have increased capability to expand trade. In the village where I am living in Ikengeza people have been encouraged by the project because before people didn’t know anything about the project but when they realized and learned about fuel efficient stoves, we started getting the users and they started purchasing stoves. Through this people have realized it’s value and how it is relating to environment, producing little smoke so giving a health advantage as week. Therefore we have provided an appropriate thing in the right place. Thanks to Emmanuel International and the Diocese of Ruaha, though this project we determined ourselves who we are and we have acquired skills because before the project we didn’t know how to make stoves. Though the project we have improved our lives in different aspects such as in health and economic aspects. 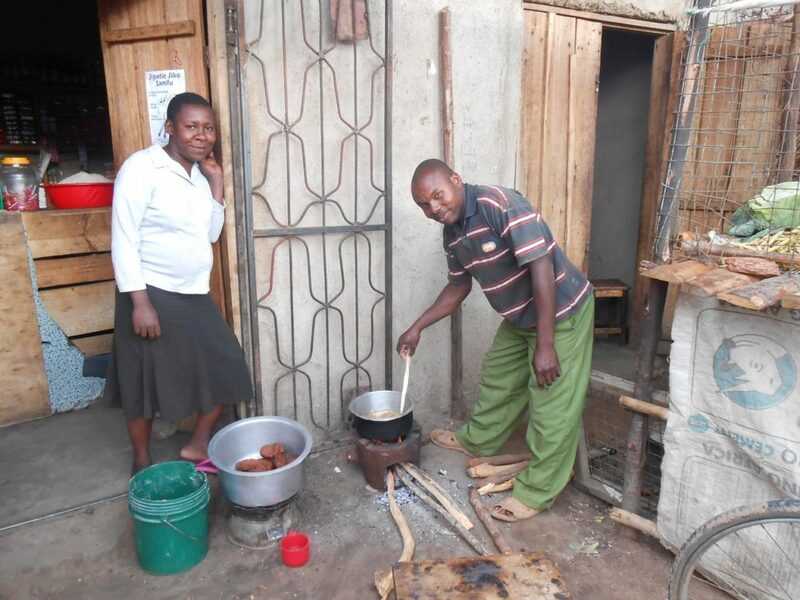 The money we get from selling stoves can be used to initiate another business such as buying and selling eggs. 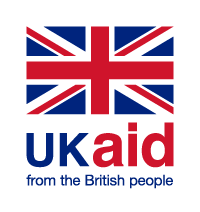 The project has played a big role in reducing poverty. To donate securely online to the Emmanuel International's work in Tanzania, click on the CharityCheckout button.